If you play online poker, InstaDebit is one of the many reputable eWallets serving customers across the world. 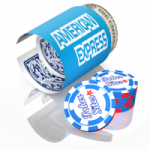 Offering a secure link between your bank and your bankroll, this option is a preferred method for many series grinders. InstaDebit poker sites are a great solution for online poker players for two simple reasons: it’s possible to deposit and withdraw funds using this method. 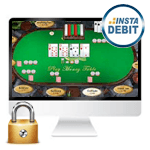 Of course, when it comes to online poker sites, InstaDebit offers a slew of security features. However, when it comes to the crunch, an efficient way to manage your bankroll is crucial and that’s something InstaDebit offers. Moving your money from a bank account to a United States poker room isn’t always an easy process (mainly thanks to various regulatory hurdles), but when it comes to deposits and online poker, InstaDebit makes things a lot more simple. If you want to play poker online with InstaDebit, you’ll need to visit the processor’s website and fill out the new account form. To create an InstaDebit account you’ll need to input you social insurance number which is used to verify your identity. Fortunately this security process takes just a few questions and, overall, signing up will take no more than 10 minutes. 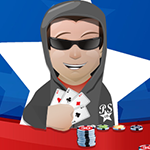 Once you have successfully signed up for your account you will receive a verification email and will then be able to being uploading funds to your account so you can play some poker. Available for deposit – Yes, but only for customers in Canada. Available for withdrawal – Yes, but only for Canadians. Success rates – If you’re in Canada, InstaDebit poker sites offer a 100% success rate. Fees associated – There are no fees associated with InstaDebit. Online Poker, InstaDebit and How it Works? In order to upload funds to all of our InstaDebit poker sites, you will need to add a bank account to your profile which must be verified before any large transactions are permitted. In terms of smaller deposits for online poker, InstaDebit can be used without verification. Once you’ve navigated to one of our USA poker sites, InstaDebit will deposit a small amount of money (under $1) into your account and you will need to log into your online banking or call them to find out what this amount is. Once this has happened you’ll need to log into your InstaDebit account and verify the deposit amount and your account is ready to go. Once you’ve InstaDebit you will have immediate access to the funds you deposit and the deposit amount will be debited from your bank account between 1-5 days after the initial deposit. Navigate to the cashier page of the InstaDebit poker room of your choice. 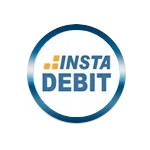 Select the “InstaDebit” deposit method option, then enter the amount you wish to transfer. Press “deposit” and the transaction will be made. You are given instant access to your money and it will be removed from your account in 1 – 5 days. When considering withdrawing money from one of our recommended poker sites, InstaDebit will offer a viable option. 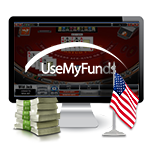 Each US poker room will process cashout requests at different rate, but once this has been completed the money will be moved to your InstaDebit account within a few hours. It’s hoped that in the near future US poker players will be able to use InstaDebit to make both deposits and withdrawals in a safe, secure, and easy manner. InstaDebit poker sites offer high levels of security for both deposits and withdrawals. All accounts have to be verified using your social security number and each transition is backed by 128-bit SSL encryption. Moreover, when you want to make larger transactions you’ll need to verify your account by linking your poker account and InstaDebit account. 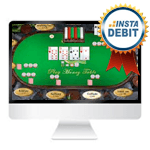 At present, when it comes to USA poker rooms that accept InstaDebit deposits, InstaDebit is not a valid option. However, the market is currently in a state of change with new regulatory measures coming into effect across America. Because of this, it’s only a matter of time before online poker, InstaDebit the US all merge successfully.